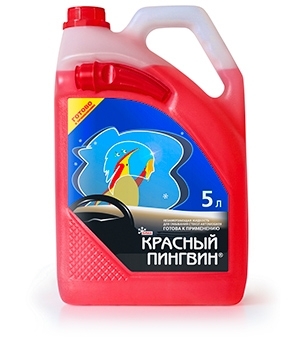 Non-freezing windshield washer fluid with improved detergent properties. (Does not contain methyl alcohol). May be used both neat and watered in various proportions. Multigrade application. Prevents freezing in windshield washer jets. Removes all kinds of contamination. Neutral to paint coatings, chrome, rubber and plastic. Applied to systems with mechanical and electric drives. Prevents formation of oil films on the glass. Depending on the ambient temperature, add the fluid or its mixture with water into the windshield washer reservoir!